High quality and fact based information. 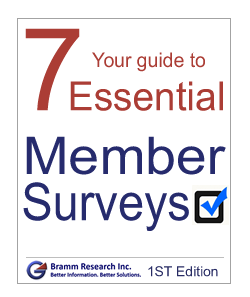 Bramm Research offers a broad range of research and analytical tools for associations, business/trade publications and companies that target the needs of professional, business and other vertical, niche markets. Our experience across numerous b2b markets coupled with our research and analytical capabilities provides our clients with strategic insights and research driven solutions. Is your association looking to become more member-centric? 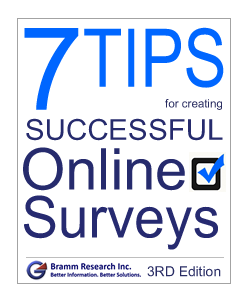 Contact Bramm Research today. 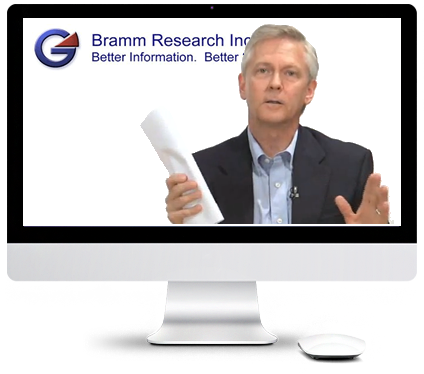 For more than 20 years Bramm Research has provided organizations with the high quality, fact based information they need to make better decisions. We do this by conducting market research, from large quantitative surveys to small one-on-one qualitative research projects. We conduct our research primarily for: Associations/Nonprofits; Business/Trade publications and B2B companies. For associations and nonprofits we focus primarily on member engagement surveys and the creation of research-based knowledge products. Our knowledge products provide members with valuable information and generate non-dues revenue. Our work for business and trade publications focuses on the development of research-based knowledge products. High quality market research and the creation of knowledge products is a proven revenue generator and positions the publication as the premier source of the business information. Our work with B2B companies is focused on undertaking brand evaluations and customer needs assessment research. We also have experience in conducting employee engagement surveys on behalf of our corporate clients. We have worked in dozens of vertical markets using techniques ranging from in-depth qualitative interviews to large quantitative surveys. While accountants think of research as a cost, wise business people know that it is an investment in the future success of the firm. Gerald Bramm's research and resulting insights have enabled me to make business decisions that have made money.In business, there's no higher compliment. 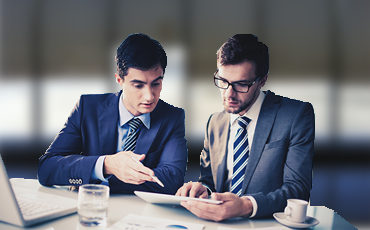 Bramm Research has diverse and extensive experience allowing them to understand our customer and competitive issues quickly and then execute research programs that help us make the right business decisions. From small scale, in-depth advertiser studies to large quantitative surveys their work has always given us the information we need to move forward. Bramm Research recently conducted an important research project on our behalf. The project entailed twenty in-depth telephone interviews with our key educational partners. 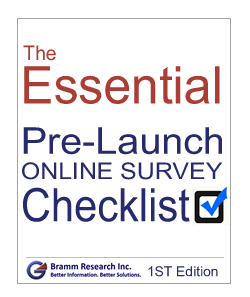 Bramm Research collaborated with us on the discussion outline, conducted all interviews, prepared a final report and provided a verbal debriefing. We were very pleased with their work and would use them again in the future. Gerald Bramm provides expertise and in-depth experience in marketing research. He is very easy to work with and can meet deadlines based on the client's needs. This was my first time working with Gerald, he helped us implement an omnibus member survey. His knowledge and insight helped us to take our survey to the next level. I look forward to working with him again in the future. Gerald recently undertook a research project on behalf of my client. 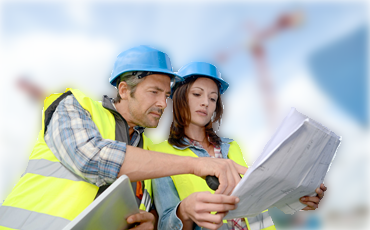 The research involved focus groups with professional power and hand tool users. The groups were followed by an online survey related to buying behaviour, attitudes and perceptions. Through every phase of the project we relied on Gerald’s research knowledge and expertise. 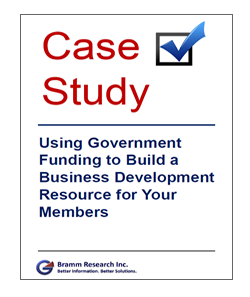 We were extremely satisfied with the results and great work that Bramm Research brought to my Fortune 500 client. Since the beginning of 2011, Gerald Bramm has provided his research expertise to the benefit of the Trillium Chapter of the Canadian Society of Association Executives. He has worked on a number of projects that have helped us to understand our members, their evaluation of various program initiatives and their expectations for future events. Gerald has helped us with every aspect of our research and we rely on his experience and knowledge to conduct our projects in thoroughly professional manner. We've worked with Gerald for many years now, and he has consistently delivered great products in the field of original and insightful industry research. This research has, in fact, become a competitive advantage for our title, and has helped to establish our publication as a leader within our field. Gerald Bramm has been instrumental in helping us manage our annual survey of the logistics professional and the Shipper’s Choice Awards project and other research projects. These surveys have helped to position us as the “knowledge” leaders in the logistics industry. On the sales side, both studies have proven to be strong revenue generators. Gerald and his team are very professional and help you identify your needs, his attention to detail and prompt service allowed for a seamless process and ultimately to a very timely and extremely useful document for our association. We look forward to working with Bramm consulting in the future! !